Legislation that would give San Francisco city inspectors the power to force scofflaw property owners to install or upgrade fire and sprinkler systems has cleared its first legislative hurdle. 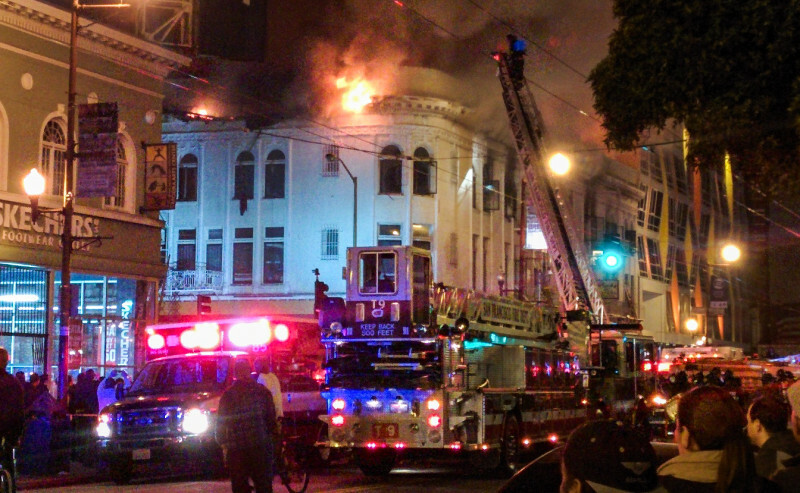 The Board of Supervisors' Land Use and Transportation Committee on Monday backed a proposal prompted by a series of major fires, primarily in the city's Mission district, that killed three people and displaced more than 200 others several years ago. Supervisor Hillary Ronen, who represents the neighborhood, authored the measure. "It is a much more powerful tool than our inspectors currently have to create safety in a building that's unsafe," Ronen said during Monday's hearing. "This is really a piece of legislation that's meant to target people that are maintaining unsafe buildings," Ronen said. The measure would order landlords who have failed to correct two or more safety violations to retrofit their buildings with sprinklers and alarms or improve their existing systems. Tenant advocates say the proposal could help save lives and reduce the effects of fire on residents. "My hope is that with the amendment of this housing code, slumlords will take seriously the notices of violations that are issued to them," said Leticia Arce, a housing organizer with Causa Justa. "This measure is a no-brainer," said Tommi Avicolli Mecca of the Housing Rights Committee of San Francisco. "Landlords with code violations that go unheeded for years should be required to put in sprinklers," Avicolli Mecca said. "Every day that these landlords continue with business as usual, the lives of the tenants are at risk." The industry associations that represents the city's landlords also back the legislation. "We believe that the ordinance adequately targets the bad actors and does not punish property owners who act in good faith and work diligently to maintain their buildings," said Brook Turner, executive director for the Coalition for Better Housing, a group representing the San Francisco's largest rental properties. But Turner, who was also speaking on behalf of the San Francisco Apartment Association, urged supervisors to change the proposal's requirement that landlords not "pass through" the costs of fire safety changes to their tenants. Since unveiling the proposal in July, Ronen added an amendment that requires city officials to send a warning letter to the scofflaw landlords, notifying them that they could be forced to make building changes. The measure will be sent to the supervisors' Rules Committee before it gets a vote before the full board.